The Republic of Moldova is the only country in the 117 member states of 1961 Hague Convention to suppress the requirement to legalize foreign official documents which has an on-line verification system of the authenticity of electronically signed apostiles through the portal www.apostila.gov.md. The statement was made by the Secretary-General of the Hague Conference on Private International Law (HCCH), Christophe Bernasconi, during a meeting with MFAEI Secretary of State, Carolina Perebinos. 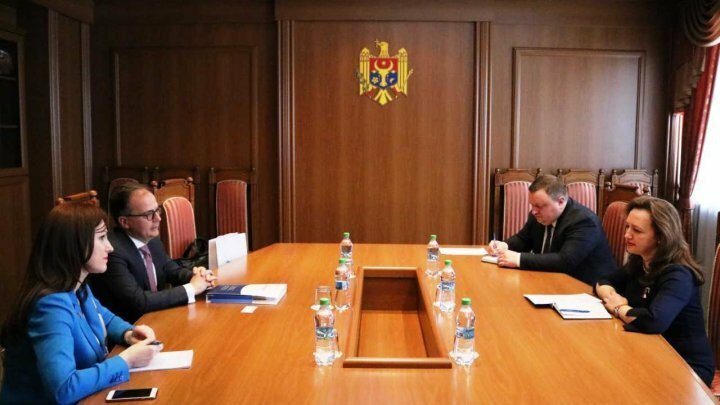 The two officials reviewed the participation of our country in the international conventions adopted within the HCCH, in the context, Christophe Bernasconi appreciating that the Republic of Moldova has ratified all the basic HCCH conventions. The interlocutors also emphasized that the privileges of membership of our country include the right of access to the HCCH technical assistance tools for the effective implementation of the conventions of the organization, by agreeing on the identification by the competent national authorities of the needs in this sense. With 83 Members (82 States and the European Union) representing all continents, the Hague Conference on Private International Law is a global inter-governmental organisation. A melting pot of different legal traditions, it develops and services multilateral legal instruments, which respond to global needs. An increasing number of non-Member States are also becoming Parties to the Hague Conventions. As a result, the work of the Conference encompasses 150 countries around the world.